A student of the National Open University of Nigeria, Abdulmalik Sa’idu, has been languishing in a police cell for over 20 days on the orders of the Governor of Katsina State, Ibrahim Shema, for posting details of an alleged fertiliser scam in the state on his Facebook timeline. This was disclosed to PREMIUM TIMES by Mr. Sa’idu’s family and lawyer. Abdulmalik was first invited to the Katsina Government House on August 28 by a phone caller who claimed he had a message for him. But when Abdulmalik arrived at the governor’s office, he was promptly arrested, handcuffed and taken to Batagarawa Police Station just outside the state capital, Katsina, and detained on the orders of Mr. Shema’s aide-de-camp, Shehu Koko, a Deputy Superintendent of Police, DSP. According to his father, Maiyawo Sa’idu, while the young student was not charged with any offence, he was accused of cloning the governor’s phone number and using same to call the state Commissioner for Local Government and Chieftaincy Affair, Sani Makana, with instructions that Mr. Makana deposit N3 million in his account. Mr. Sa’idu said his son was innocent. He said if indeed Abdulmalik cloned the governor’s number to dupe a commissioner he wouldn’t be tricked to come to the Government House to be arrested. “I think they are trying to frame him. I know my son cannot clone the governor’s number and call a commissioner to put three million into his account,” Mr. Saidu told PREMIUM TIMES. He said Abdulmalik was arrested because he posted details of an alleged fertiliser scam by the governor on his Facebook page. Mr. Saidu said prior to his son’s illegal detention, some officials of the state government had warned his son to desist from criticising the governor on Facebook. On one occasion, the General Manager of Katsina State Road Maintenance Agency, Jamilu Umar, threatened to pay N2 million to thugs or policemen to kill Abdulmalik if he doesn’t stop criticising the governor publicly, Mr. Saidu said. Governor Shema’s Chief Press Secretary, Sani Malumfashi, rejected repeated calls made to his mobile phone after this reporter told him he was calling about Abdumalik’s case. The Saidus’ case comes days after global rights group, Amnesty International, released a damning report accusing the Nigerian police of arbitrarily arresting, torturing and killing thousands of Nigerians without following legal process. The report accused the police of running “torture chambers” where detainees are abused for money or for confessions. The police dismissed the allegations as “falsehoods and innuendos” saying the Force does not tolerate torture and that where it occurs, officials responsible are sanctioned. But Abdulmalik’s arrest points to how widespread arbitrary arrests have remained even for the flimsiest of reasons. Many such arrests are effected on the directives of senior state officials, including governors. 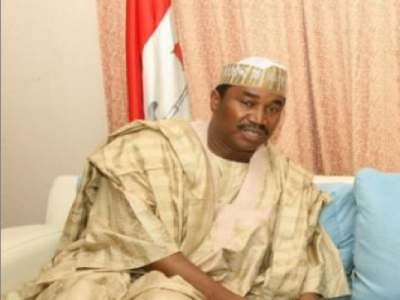 In November 2012, a civil servant in Bauchi State, who questioned the financial integrity of the governor, Isa Yuguda, was immediately dismissed on direct orders of the governor. In a Facebook post, Abbas Faggo had accused Mr. Yuguda of corruption, questioning the source of funding of the governor’s son’s wedding which took place then. A letter terminating Mr. Faggo’s appointment, signed by one Ibrahim Shehu for the Head of Service of the State, said his services were no longer needed. Barely a year after the Bauchi case, the Bayelsa State governor, Seriake Dickson, ordered the arrest of a businessman, Tonye Okio, for also criticising him on Facebook.